The US had an international trade deficit of $US43.0 billion in September. 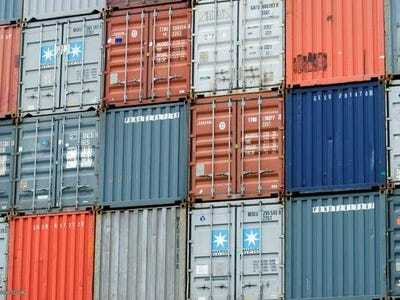 Exports totaled $US195.6 billion, while imports totaled $US238.6 billion. This was wider than the $US40.0 billion reported in August, and it was much wider than the $US40.2 billion expected by economists. The magnitude of the increase was surprising given falling oil prices.